When this family bought their house, they knew it would be a project. The ground floor was quite dilapidated, and too small to accomodate their desire to have large, communal areas for the whole family to gather in. Not only that, their loft felt like dead space, offering nothing more than just a place to store their boxes. They wanted it to work harder, and have it as another bedroom for guests. The problem? Their home sits in one of the strictest conservation areas in the UK. However, even in the most protected areas, clients aren’t completely powerless when it comes to expanding their homes. You just need a good architect by your side to navigate the planning. 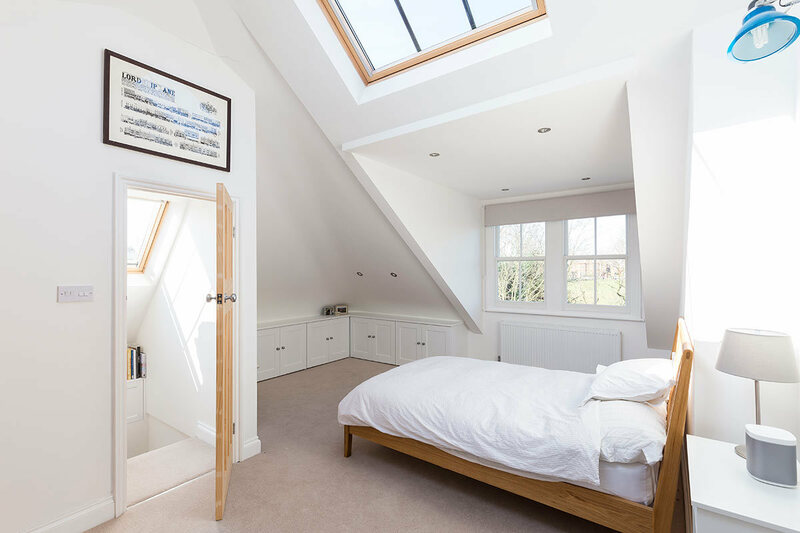 Our team has plenty of experience working within conservation zones, so we knew we could get this family the space they needed, and set about designing them a ground floor extension and loft conversion. As these were two sizeable projects, the family decided to do things in phases, starting with the ground floor. 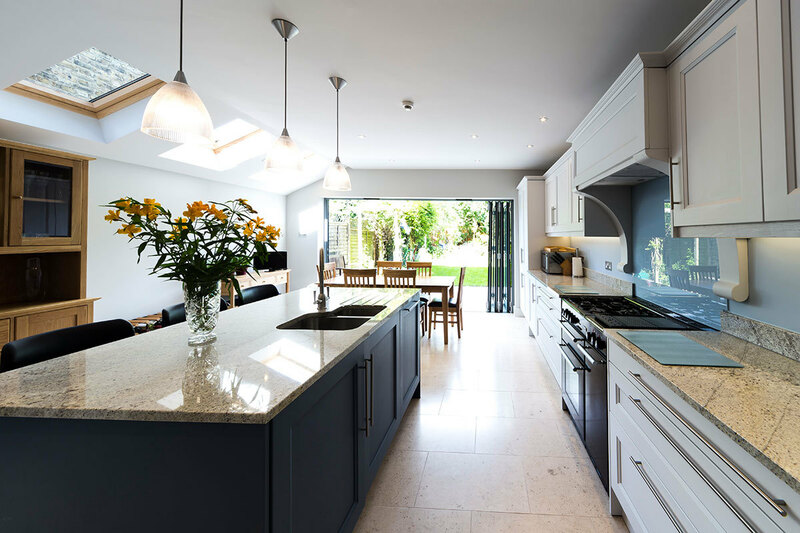 We designed the rear to be stepped, having their big bi-fold doors coming out further than the wall connected with the kitchen. This was done because the house itself sits on a raised section, making it quite high. By staggering the formation, we were able to create minimal impact on the neighbours, avoiding any overshadowing. 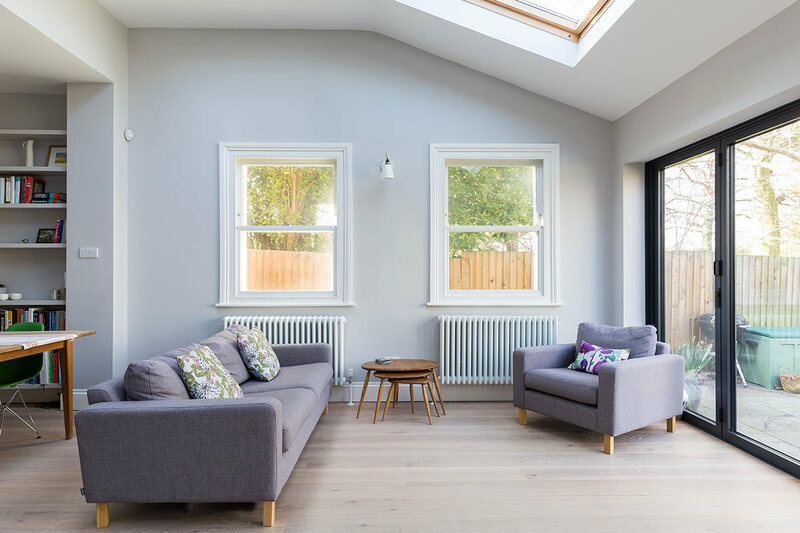 Because we were limited in how big the ground floor extension could be, we wanted to make what space we could create feel as open as possible. 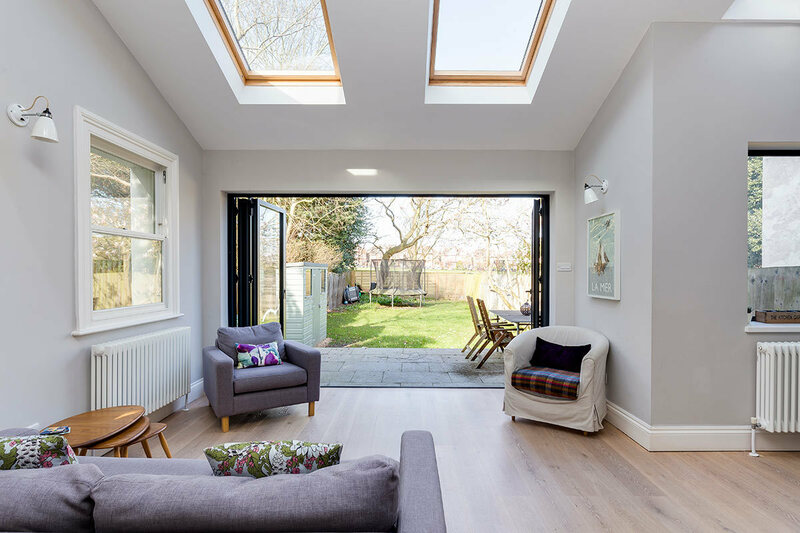 To do this, we first proposed a large set of bi-fold doors, to help bring a sense of connection between the inside and their garden, along with reams of natural light. 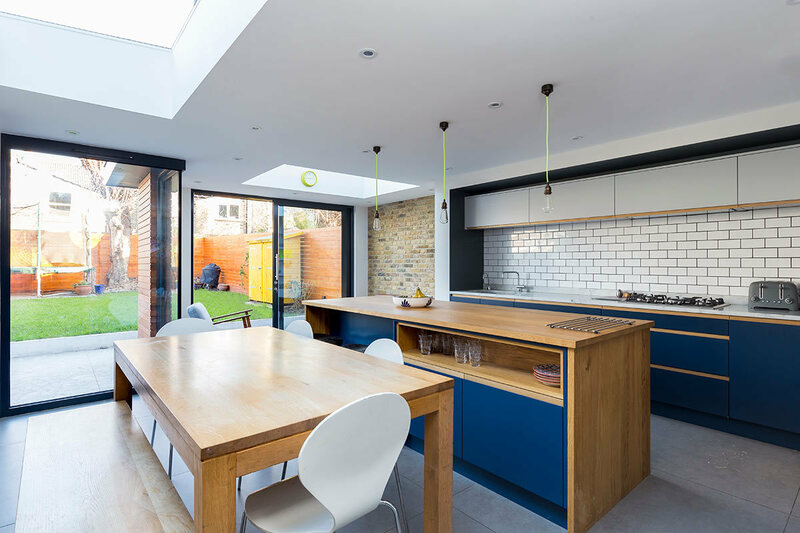 We accompanied this with even more glazing, adding in large rooflights above, and windows along the walls. The result is a space that feels bright and open, the perfect place for the family to gather on summer days. Following the successful design of the ground floor, it was time for our team to turn their attentions to the loft upstairs. 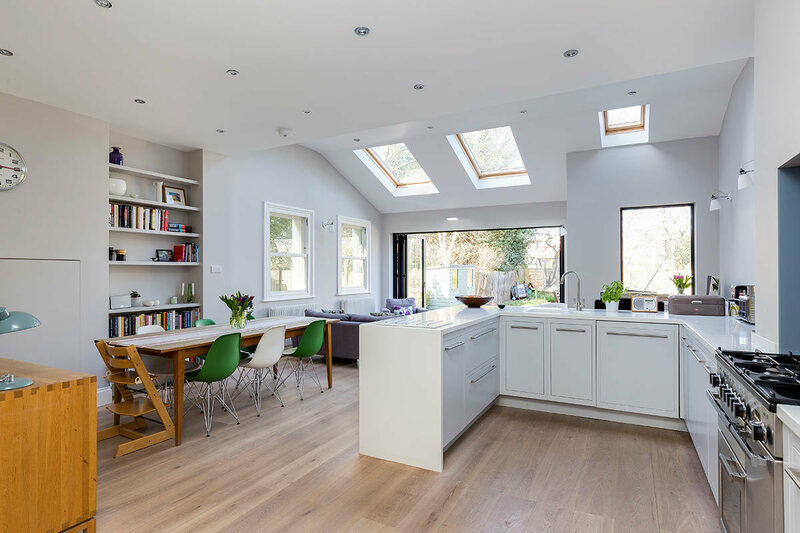 As it lacked the head height in its current form, we extended the space with a new dormer. Under strict planning requirements, we had to get clever with this, and designed a dormer slightly smaller than what is typical. 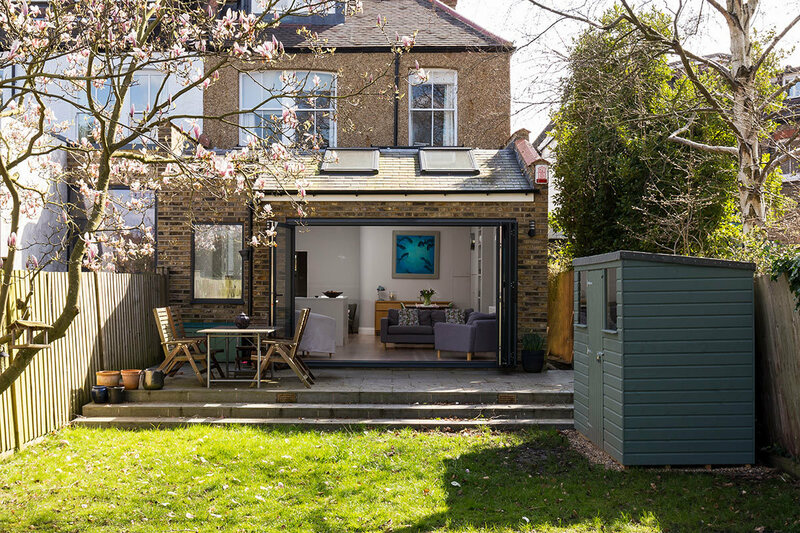 Yet even with these limitations, the clients still gained a good sized double bedroom, that has a spectacular view of Dulwich Playing Fields. Complete with an ensuite, this is the ideal hideaway for guests, or future family additions. This home ultimately shows that no matter your planning limitations, with a good team of experts on your side, you’ll be amazed at the results.